Screw holes at lower edge for easy attachment to ground plinth or legs can be fitted to the drilled holes in the wooden plinth or to cast square profiles in a concrete plinth. The panels are fitted together with two screw clamps. Being flexible and lightweight, it is easy to fit, extend or alter as needed. 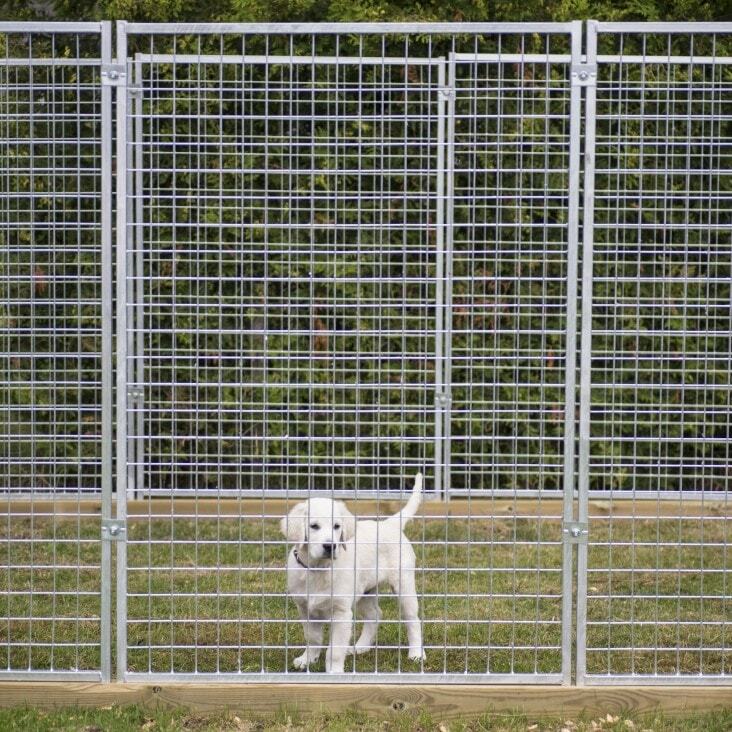 Its substantial height of 180 cm makes the dog run suitable for most dogs.